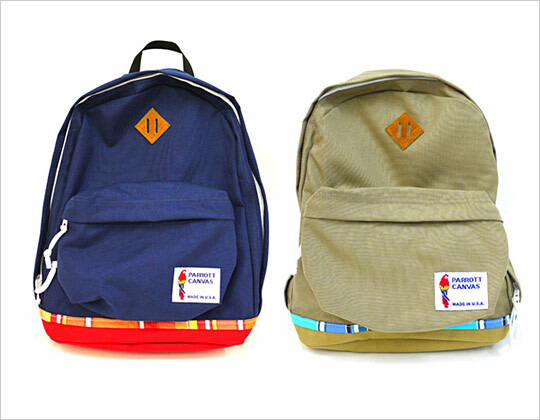 Japan’s Gallery 1950 collaborates with Parrott Canvas on a new line of fun and functional backpacks. 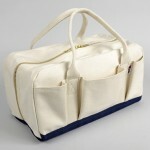 The beige, red or navy blue bags each feature a contrasting-coloured base split up with brightly striped detail. 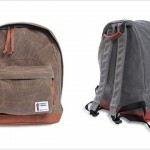 Made in the United States, the canvas bags are expected to be released in March. This entry was posted in Backpacks, Bags and tagged Japan, Japan Gallery, Parrott Canvas, United States. Bookmark the permalink.